Dove thinks I stink. 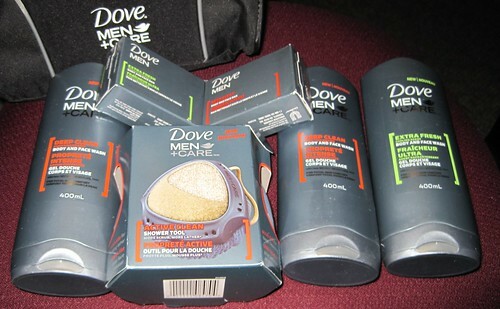 At least I assume so, because they just sent me a whole bunch of their new Dove Men+Care products. Here's what came with the nice smelling beauty products. Dove MEN+CARE is a campaign about the lives of real men. Research commissioned by Dove MEN+CARE found that 80% of Canadian men said that they think they are stereotyped and falsely portrayed in advertising. Dove MEN+CARE is a campaign and new line of products designed to recognize that through a man's journey and life experiences, he reaches a point where he is comfortable in his own skin. And here I was thinking they were just trying to sell soap! Good old Unilever, who makes Dove, also makes Slimfast. Rememeber those Dove commericals trying to sell you on their mantra of "inner beauty is what counts". A Total farce. And that's just the top of the iceberg. I'll tell you what you SHOULD do with that stuff. Send it back. I will never by a Unilever product. I'm allergic to most Unilever products, so I generally avoid them. The false stereotyping is that every man is a well built bodybuilder. Hey, they should show REAL MEN - guys have a six pack, but in the fridge, not on their midsection. Give them free advertising it seems. And a free opportunity for OJ Boy to remind us of Unilever's corporate hypocrisies. Save it & put in James XMAS stocking when he gets older. I think it's disgusting you don't use shampoo or deodorant. Elvis, read more carefully. Mike said that the only beauty care product that touches his skin. I don't use shampoo on my skin, do you? Deodorant doesn't usually go on in the shower either, now does it? In regards to the products themselves, I'd appreciate it if you tried them out Mike. I've got sensitive skin and have been considering trying Dove. This new line of theirs caught my eye. I'm not generally one for heavy fragrances though, so if this is something meant to compete with Axe or whatever, no thanks. Mike, keep the shampoo, soap and deodorant. If there's any "body wash" or "body spray", give it away or send it back to them. You don't want to smell like a clubland lothario. Disgusting smelly stuff! Yeah, Elvis... Ajax Mike is right. In the shower, only soap goes on my skin. And Trish, you say "clubland lothario" like it's a bad thing. I use Dove soap. It's got moisturizers in it and my face doesn't break out when I shave. I don't use the "Men" brand, I buy the grapefruit scented bars because citrus makes me wake up faster. Shrug. I don't know about you guys, but shampoo touches my scalp, which is skin. Just got out of the shower - confirmed. Shampoo touched my skin. Does Dove make a douche too? Mine just ran out. Any suggestions Ajax Mike? I always wondered why they put instructions for use on body washes and the like. Now I know. Lots of people wondering about Dove: last year there was a huge campaign against the company due to loading their products up with well-known carcinogens. That's not new for such products; even the "Live Clean" line has 'em but apparently Dove was one of the worst culprits. 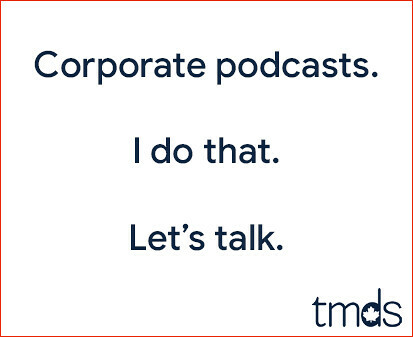 Hey TM, followed the link back here from a new entry. How's the Dove stuff working out? Worth giving a try? The one I like is the body wash - that's the one I use daily with the scrub brush. I quite like it.